The family legacy began in the early 1900s, when Ryan’s great-grandfather Barney began selling everything from curly temples and turn-pin spectacles to Teddy Roosevelt-approved “pinch nose” eyeglasses on the Lower East Side. 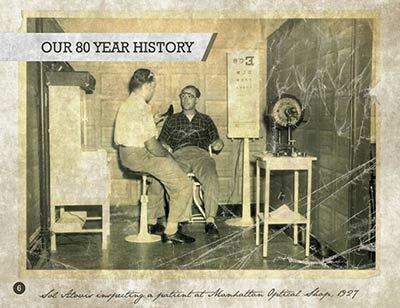 His son and grandson would take up the family business in the decades that followed, watching the science of optometry evolve — along with the customers’ preferred styles, from wire frames to tortoiseshell to Jackie Onassis-inspired oversized lenses. In the early ‘90s, when his father and uncles saw a future in mail-order contact lenses, they became progenitors of what would eventually become a billion-dollar, internet-fueled industry. 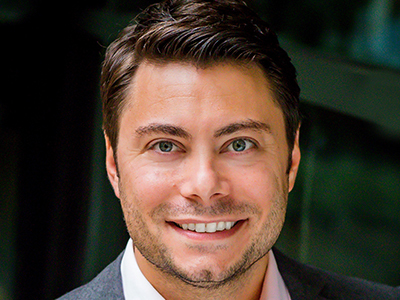 By 2009, Ryan Alovis would take over the company dubbed LensDirect.com (a division of The Stella Group), continuing the family’s evolution from pushcarts to stores to websites. Paid search is our main channel of customer acquisition on the web. It provides the best value, flexibility and transparency into maximizing our advertising spend. Following in the footsteps of his forefathers, Alovis attracts new customers and stands apart from the competition by offering superior customer service. Recognizing that a strong digital strategy is critical for the business, Alovis has developed search engine marketing (SEM) efforts that amplify and complement that tangible customer service. “Paid search is our main channel of customer acquisition on the web. It provides the best value, flexibility and transparency into maximizing our advertising spend,” he explains. “It allows LensDirect.com to bypass the need for an agency and directly reach new customers. Not only is the company reaching new customers, but it’s also capturing the kinds of eyeballs that LensDirect.com is eager to treat. More so than the competition, Bing Ads helps the company reach an audience that is predominantly a bit older, wealthier and more likely to spend. LensDirect has also discovered that the Bing Network audience is more loyal — and when your desire is to recruit brand loyalists who will return time and time again, nothing could be better. These efforts have placed an emphasis on improving the customer journey, from the search engine query through the ad being served to being properly directed to the landing page that will best serve their needs. Universal Event Tracking has given LensDirect.com greater flexibility in understanding and tracking customer behavior, which has resulted in a positive impact on the bottom line. Other Bing Ads features have also been beneficial. “Improvements in Bing Ads Editor have allowed for increased efficiencies in managing our search campaigns, while Bing Ads reports allow for easy data visibility and optimizations,” Tamburro says. We can piggyback off the CTR growth at 44%, where Bing is higher than the other guys. That CTR is amazing, and we live and die by it, so that's a big deal for us. 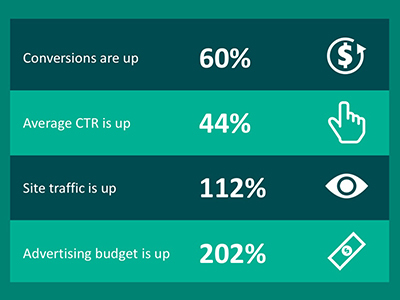 Average click-through rate (CTR) is up 44%. Site traffic is up 112%. Advertising budget is up 202%. When you’re a business built on the belief that personalized customer service will rise you up above the competition, you look for a similar ethos in those around you. It’s no surprise, then, that Alovis has an immediate answer when asked what he likes most about his partnership with the Bing Ads team. Bringing things full circle, Alovis recently discovered that the shared priorities of LensDirect.com and the Bing Ads team has resulted in an unexpected benefit. As it turns out, a company with strong customer service is smart to align itself with like-minded marketing efforts — something the Alovis family has known for over a hundred years. “Such lessons have been instilled in me ever since I came into the world. It's something that my family always talked about,” Alovis says. “I’m proud of my lineage, my legacy, and most importantly, the future of LensDirect.com. 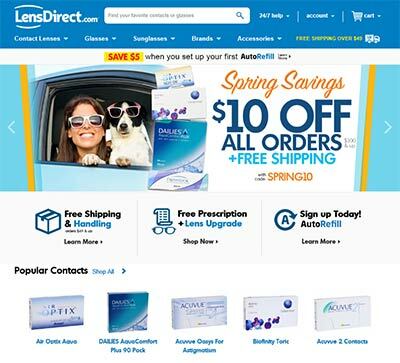 LensDirect uses Universal Event Tracking and Remarketing in Paid Search for a second chance at converting site visitors.